"Breathtaking Views!" is a brand new, fully renovated, luxury 2 bedroom/2 full bathroom apartment on a cliff overlooking the Mediterranean Sea. The couch opens to sleep two more for a total of 6. Both bedrooms have sea views, as does the shower in the master bedroom. The apartment just completed a total renovation by famous Israeli designer, Sophia Mizrahi. Slide open the massive 12 foot window and the whole living room becomes your luxurious balcony. No words can describe the magical feeling you experience being this close to the sea, high above the soft, rolling waves. It is truly breathtaking. A complimentary bottle of wine awaits your arrival. Enjoy it as you take in the full seafront experience. Located on the lushly landscaped promenade, there is no street between you and the sea, so you won't hear motorcycles, trucks or cars - only the gentle sound of the waves. There are very few seafront buildings in the whole country that are on the sea side of the street. We are located on Nitza Boulevard, the most prestigious street in Netanya. The steps to the beach begin right next to the building. It is a 6 minute walk to the main square with all of its shops and cafes. Right across the street from the building are two great Kosher restaurants (1 fish and meat, 1 dairy Italian), two lunch cafes, and a small supermarket that has everything you might need, including freshly baked bread and baked goods every morning and throughout the day. There is also a pharmacy, a dry cleaner and a few other shops. When you stay here you don't even need a car! But if you have car, the apartment also comes with one covered parking space. Covered parking space, Kosher kitchen, AC/heat in all rooms, 2 TVs with cable, fast WiFi, clothing washer and dryer. "Kosher" queen size bed in master bedroom can be separated into 2 beds. The second bedroom has 2 twin beds (80cm x 190cm). The couch opens into one queen or 2 separate twin size beds. Shabbat elevator. My designer and I worked very hard doing a complete renovation on this apartment. I put a lot of myself -and my money!- into it and I look forward to sharing it with good people who appreciate being by the sea as much as I do. You are charged one housekeeping fee of $100. You may choose to also have a housekeeper come during your stay for $100 per cleaning. The cost of electricity used will be deducted from the damage deposit. This ensures that air conditioning is not kept on unnecessarily. Energy is precious in Israel, so please help by conserving. :-) The average electricity cost is around $3/day in the summer and $1/day in cooler weather when no AC is used. The AC units also provide heat in the colder months. Electricity usage for heat is similar to AC. I worked very hard renovating this beautiful apartment and I put a lot of myself into it. I look forward to sharing it with considerate guests who appreciate being close to the sea as much as I do. This property has the best location in Netanya. It is steps from the beach and only a 5 minute walk to the town square. Restaurants, cafes, supermarket are right across the street. toilet, shower, Fold down shower seat. Ocean view from shower. Kosher kitchen with 2 sets of dishes, silverware, pots, pans. Removable sink rack for meat/dairy. Also contains an electric hot plate and hot water urn for shabbat. Everything was provided, no one bothered us, stunning view, awesome location. We loved walking the brick path to the city square at night. Watching the sun slip into the ocean every night was unforgettable. We visited Beit Shean at night. It was my favorite history experience ever! Jerusalem wasnt too far away. (especially at night). Tel Aviv- just a hop, skip and a jump away. Our family of 4 enjoyed our stay. The apartment is exactly as advertised. It was very comfortable and quiet. Being here with kids at the beach everyday, it was a bonus to have laundry equipment in the apartment! The kitchen was well suited for all your cooking needs. Another bonus was the covered parking. Morris was an excellent host and very responsive. We highly recommend this place and will stay again next time in Netanya. Thank you, David. I hope to have you back again. Lovely and bright with a million dollar view. Perfect Natanya location. The shuk, supermarket and bus station are all within walking distance; cabs are in plenty. Many restaurants and shops and a beautiful beach. The apartment is well maintained and the owner works with the guests. The main square is a ten minute walk. We loved it! Beautifully redone apartment. Very comfortable, stunning views, helpful information. Great location in Netanya, WALKING distance to central plaza in the heart of the city. Easy parking lower level of the building. Very responsive owner, and agent on premises . Thank you for an easy, and beautiful 3 week stay ! The apartment was great, new furnished with style and good taste. 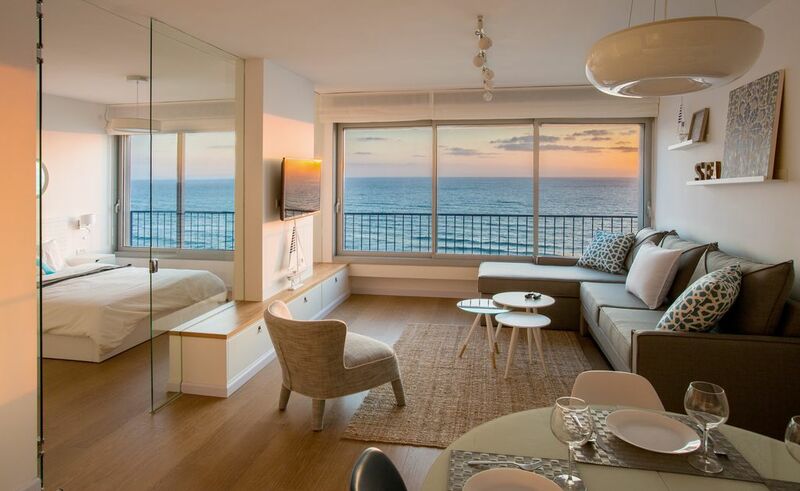 Location is the best feature on Nitza beach we enjoy the stay for 15 days at Netanya so we have the advantage to be near all the central and northern locations to visit. I recommend this apartment, next time we will chose this place again.